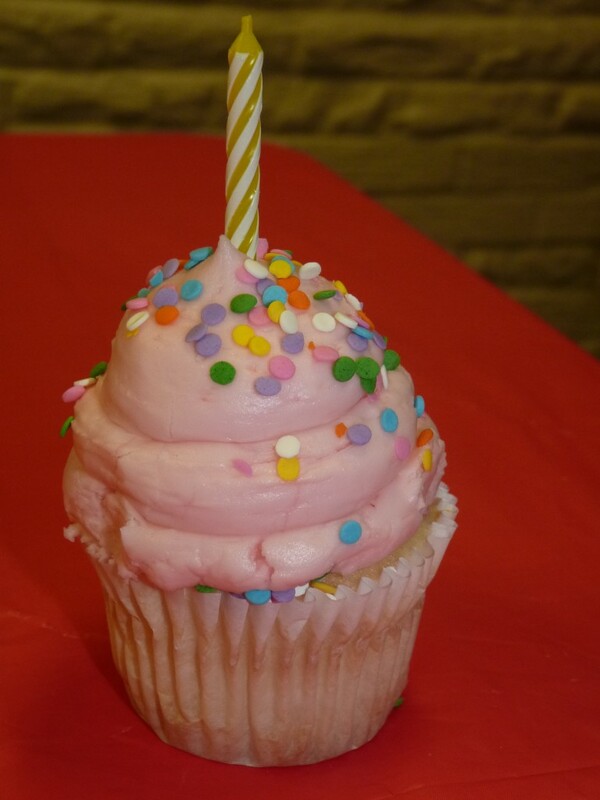 We celebrated Sweet T’s first birthday yesterday with a very low key picnic-themed party. 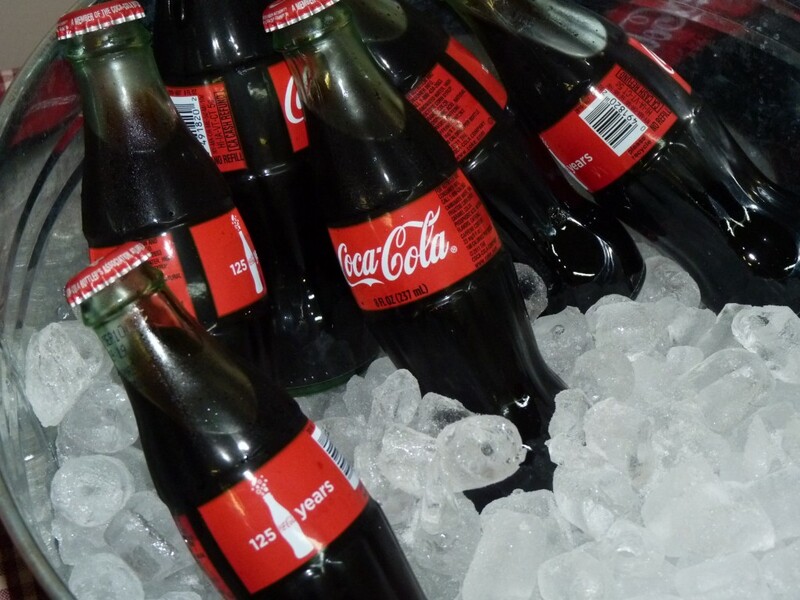 This theme was simple to bring together and perfect for a summer birthday. 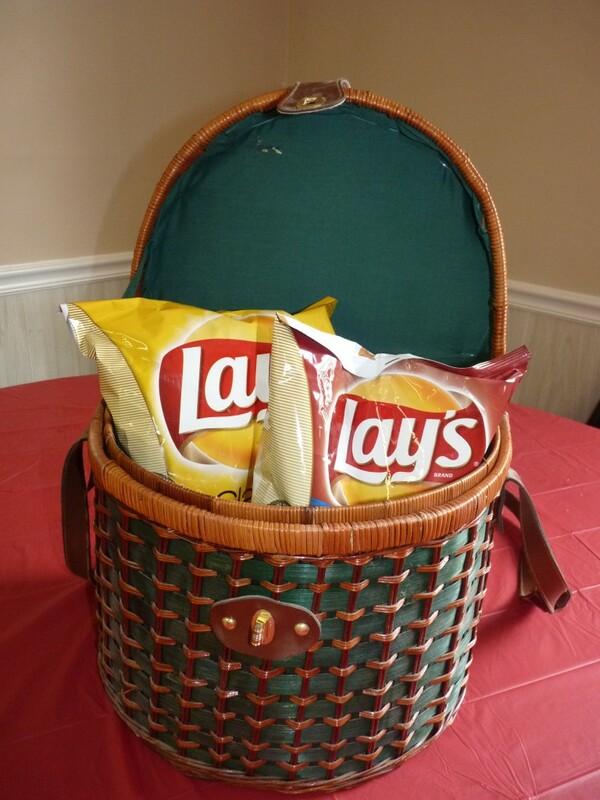 Guests served themselves buffet style on red plaid plates. 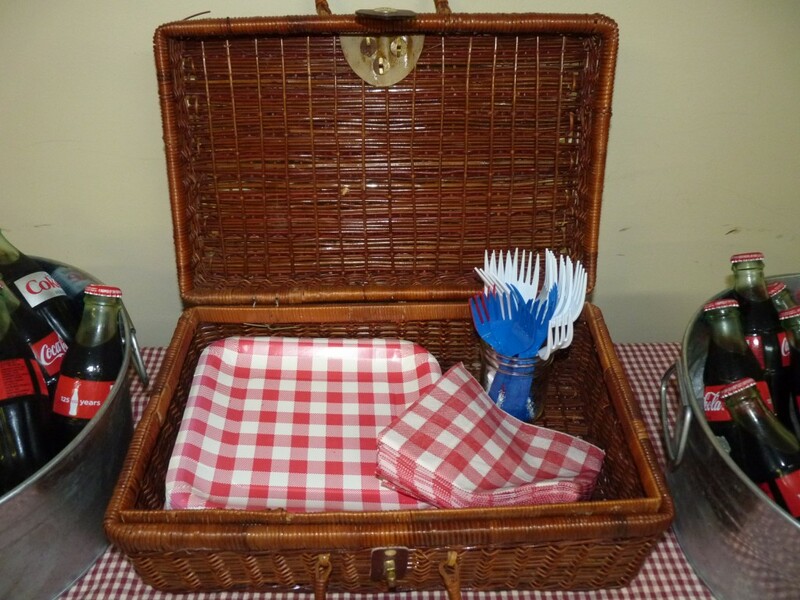 Utensils were placed in a jelly jar then an open picnic basket alongside the plates and napkins. 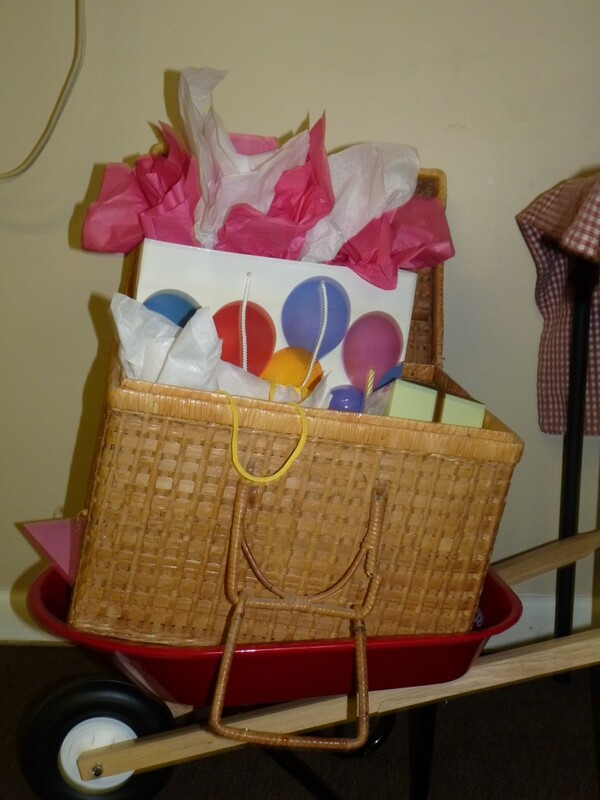 Picnic baskets made for simple decorations and were functional too. I found these restaurant style ketchup and mustard bottles at Walmart. 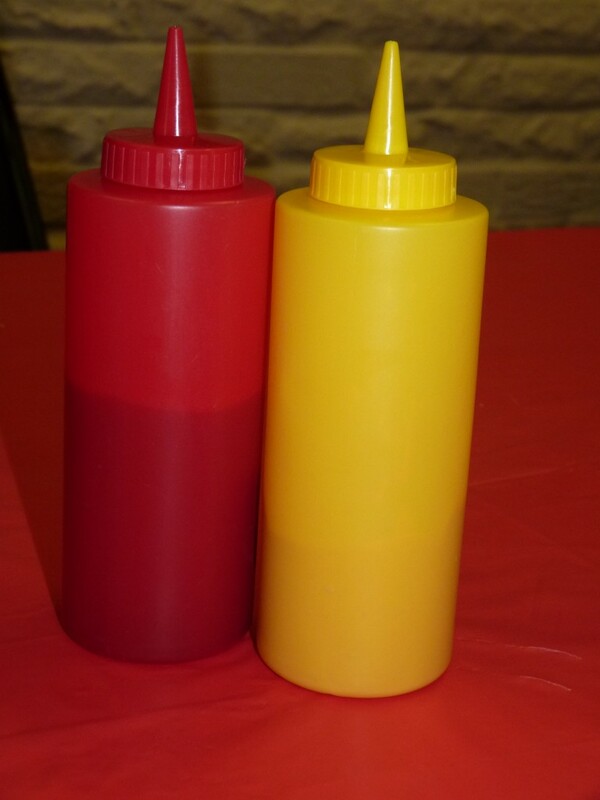 We served hot dogs, potato salad, baked beans, and chips, but no picnic would be complete without ants! 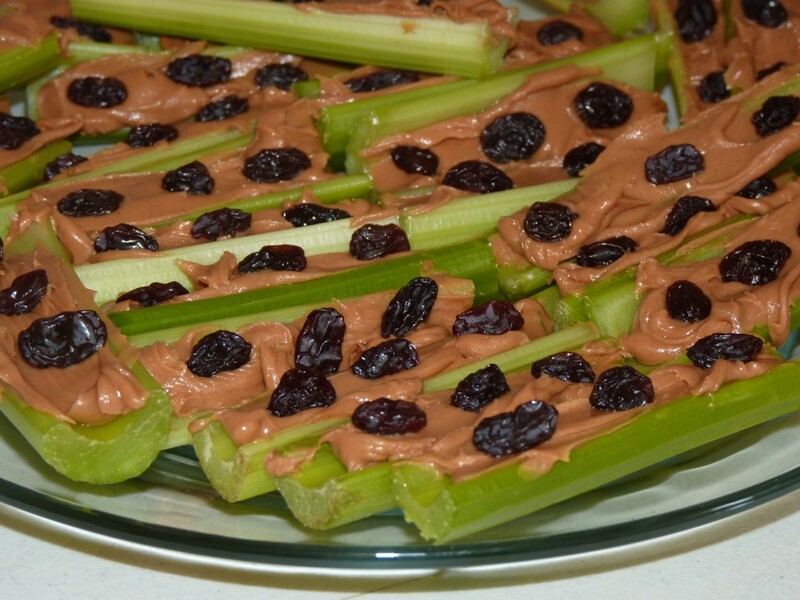 Use celery, peanut butter, and raisins to make “ants on a log” for your indoor picnic.